Guinness World Records recognizes Yisrael Kristal, who survived both world wars and Auschwitz as the oldest man in the world. A 112-year-old Israeli Holocaust survivor who lived through both world wars is now the world's oldest living man, Guinness World Records said on Friday. Yisrael Kristal was born in what is now Poland on September 15, 1903, three months before the Wright brothers took the first airplane flight. 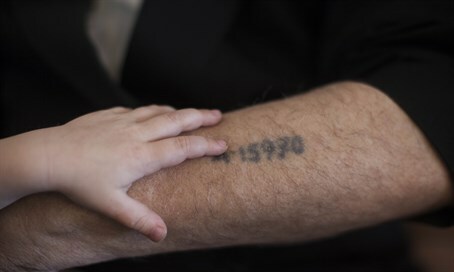 He lived in the country through the First World War and until the Nazi occupation in World War II, when he was eventually sent to the Auschwitz concentration camp. Guinness confirmed on Friday he was now considered the world's oldest living man. "Mr Kristal's achievement is remarkable - he can teach us all an important lesson about the value of life and how to stretch the limits of human longevity," Marco Frigatti, Head of Records for Guinness, said. Reacting to the news, Kristal said in a statement, "I don't know the secret for long life. I believe that everything is determined from above and we shall never know the reasons why. There have been smarter, stronger and better looking men than me who are no longer alive." The oldest living woman, at 116 years old, is Susannah Mushatt Jones, of the United States, who was born on July 6, 1899. Kristal worked in the family confectionary factory but was sent under Nazi occupation to the infamous Nazi death camp Auschwitz-Birkenau. His wife died but he survived, weighing just 37 kilos (81 pounds) at the end of the war, daughter Shula Kuperstoch told AFP in January.